Patience began her career at WearCheck in 2015 initially as a volunteer, just looking to gain work experience. After just two days of volunteer work, she was offered a temporary lab technician post, which soon became a permanent post. 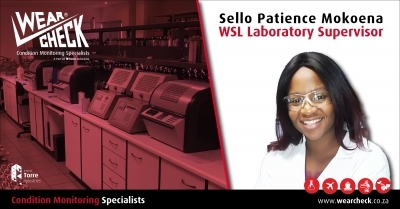 With professionalism and dedication, Patience has worked her way up to become laboratory supervisor of the WSL.